Artecy Cross Stitch. Forest Cemetery Cross Stitch Pattern to print online. 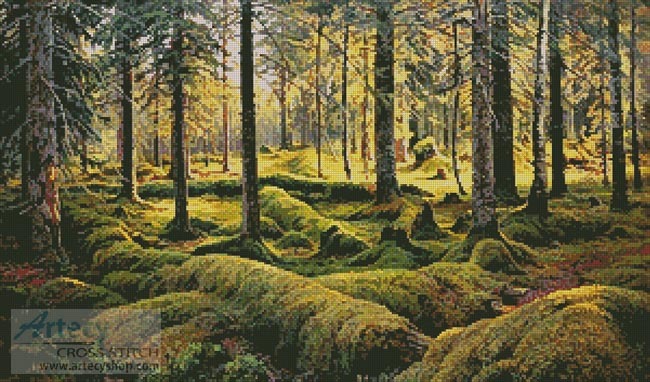 This counted cross stitch pattern of a forest with fallen trees covered in moss was created from a painting by Ivan Shishkin.